Before the emergence of Kyler Murray as the quarterback everyone expects to be selected No. 1 in the 2019 NFL Draft, Dwayne Haskins was seen as potentially the top passer in this year’s draft. Peter King of NBC Sports wrote, “I keep hearing Dwayne Haskins is sinking, and may be the fourth passer picked in this draft.” The three quarterbacks who might be ahead of him are Murray, Drew Lock, and Daniel Jones. A player many have mocked to the New York Giants at No. 6 overall, Haskins might be getting talked about in this way as a smokescreen. Or, perhaps teams really aren’t as high on him as the media has been. 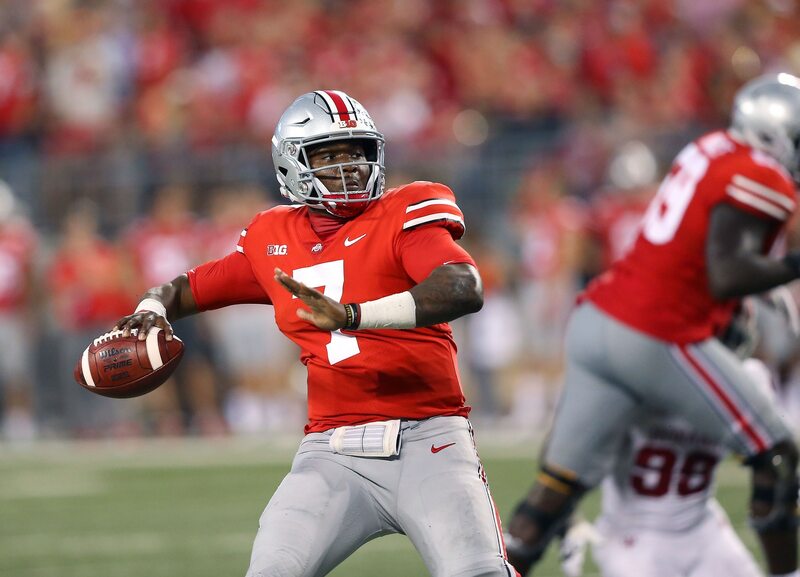 The one thing we know for certain is that Haskins is inexperienced and wasn’t considered a “top” quarterback in the 2019 NFL Draft until late in the process due to his record-breaking season at Ohio State. He played very well toward the end of the season and showed off a very live arm throughout the campaign.